It's becoming impossible for cyber security to keep up with paradigm-changing technological advancements which provide fertile new hunting ground for the more sophisticated cyber-criminals. You can't enumerate all possible attacks while calculating probabilities and impacts for each. We need to narrow things down. But when we reach for data, we drown in reports, dashboards, and alerts. We don't need more undigested data. We need answers. Enter threat intelligence. Useful threat intelligence is not data feeds of indicators without context, but interpretation that boils things down to provide recommendations so you can operate safely in the new Internet age. 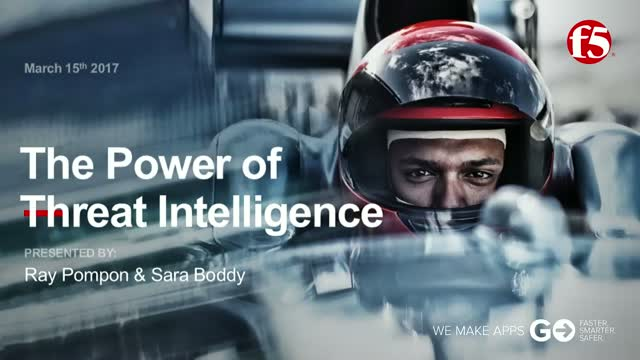 Threat intelligence demystifies the swarm of noise and connects the dots into threads that demystify what is really going on. We'll look at what good, actionable threat intelligence looks like and how you can use it to neutralize potential attacks before they strike. We'll look deeper at the threats against and originating from cloud platforms.